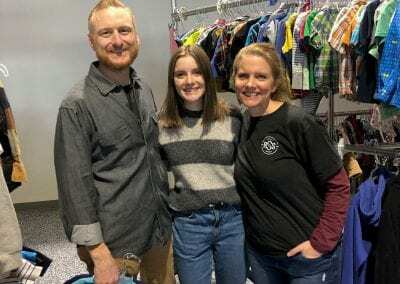 We had the privilege of volunteering again with A Precious Child on February 7th. 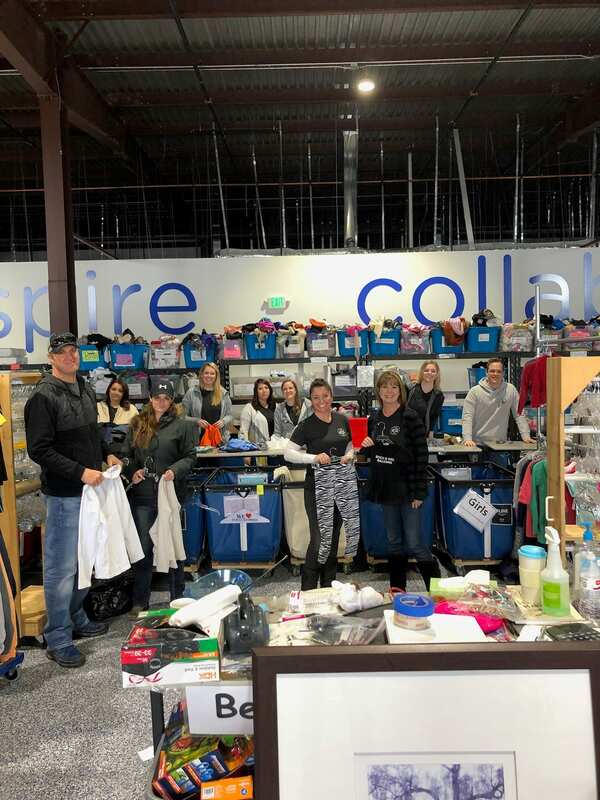 We closed our office early and assembled a team of 15 people who gladly served at their Resource Center in Broomfield. 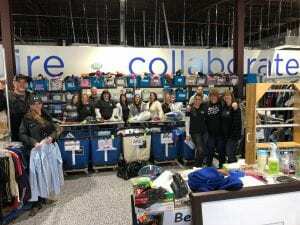 After touring their facility, they put us to work separating, organizing and hanging donations to help restock their resource center, also called their Precious Essentials program. What is their Precious Essentials Program? 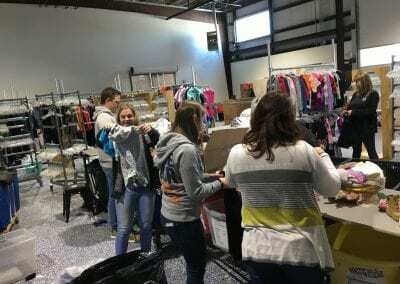 A Precious Child collects donated new and gently-used clothing, coats, undergarments, socks, shoes, toiletries, home goods and other essentials and distributes them to children and families in the most need through their Resource Center. Clients are referred to the Resource Center by their agency partners which include schools, human services organizations, churches, hospitals, safe houses, fire and police departments, at-risk youth centers, homeless shelters, mental health and foster care organizations. Once referred, clients call and make an appointment to come in and shop for the essentials they need in a welcoming store-like setting, all provided at no charge. 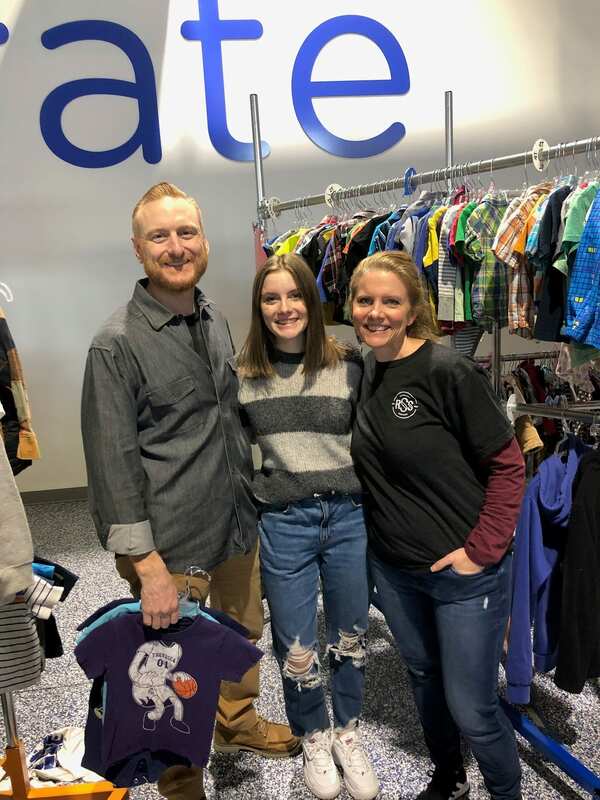 Disadvantaged families with children will “shop” for clothing items and other essential needs items at their center all provided at no charge from community donations. 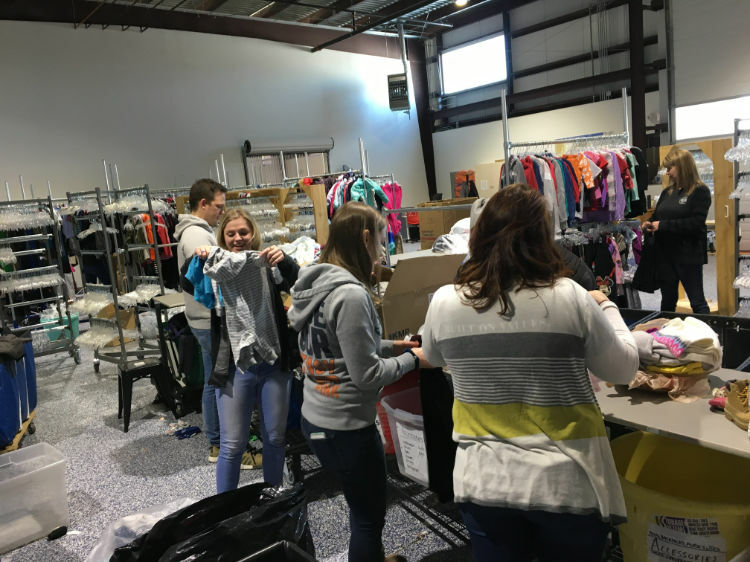 Precious Essentials provides all items in a dignified manner to increase self-esteem for impoverished children and their families in Colorado.